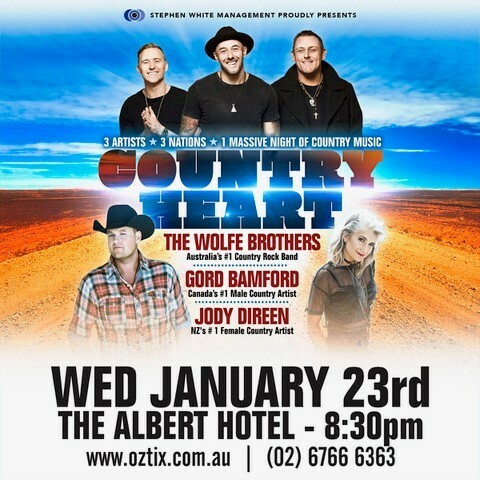 By popular demand, The Wolfe Brothers have announced they will take their Country Heart – three artists, three nations, one massive night of country music – tour to the Tamworth Country Music Festival in 2019. Get ready country music fans – this is going to be huge! With special guests, Canada’s #1 Male Country Music Artist Gord Bamford and New Zealand’s Female Country Artist Jody Direen, audiences at Tamworth better get ready to party! Bringing special guests to Tamworth this year is an exciting prospect for The Wolfe Brothers – and what great guests they are! Gord Bamford is a multi-award-winning legend in Canada. Voted Canada’s Male Artist Of The Year on three occasions, Gord brings his good old boy, beer drinkin’ country party attitude to his shows and is fast building a big fan base in Australia after performing at the nation’s biggest festivals over the last two years. New Zealand’s current Female Artist Of The Year Jody Direen is considered one of the hottest artists on the scene today in her home country. After winning the Best Country Album award for her Shake Up CD at the last New Zealand Country Music Awards, Jody signed a deal with ABC Music in Australia. Tickets for The Wolfe Brothers Country Heart show at Tamworth Country Music Festival are on sale now. The Wolfe Brothers fourth studio album, Country Heart, is out now via ABC Music. 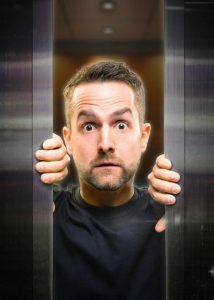 Next articleThe Reef Hotel Casino presents Dragon – Bring On The Sun!